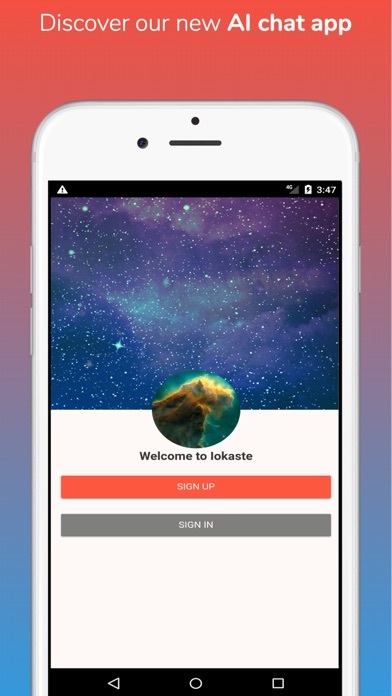 Iokaste allows people to anonymously talk to each other and connect in a safe way. It all starts with an AI bot that you can talk to as a personal friend, therapist or even diary. 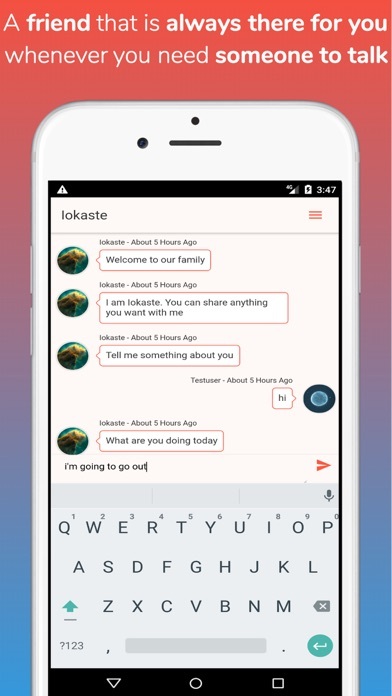 Through your personal conversations with Iokaste we start to learn more about you and customise the discussion. No need to impress others with selfies or followers; just concentrate on being yourself and open up. 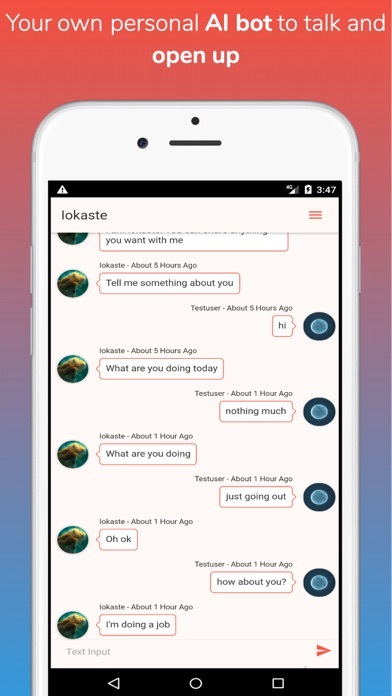 In Iokaste you can talk about what's on your mind or what you are feeling with the Iokaste AI bot and feel liberated!